This listing is for 4 pieces of 28mm X 15mm gold faceted sand crystal hydro quartz barrel egg beads. 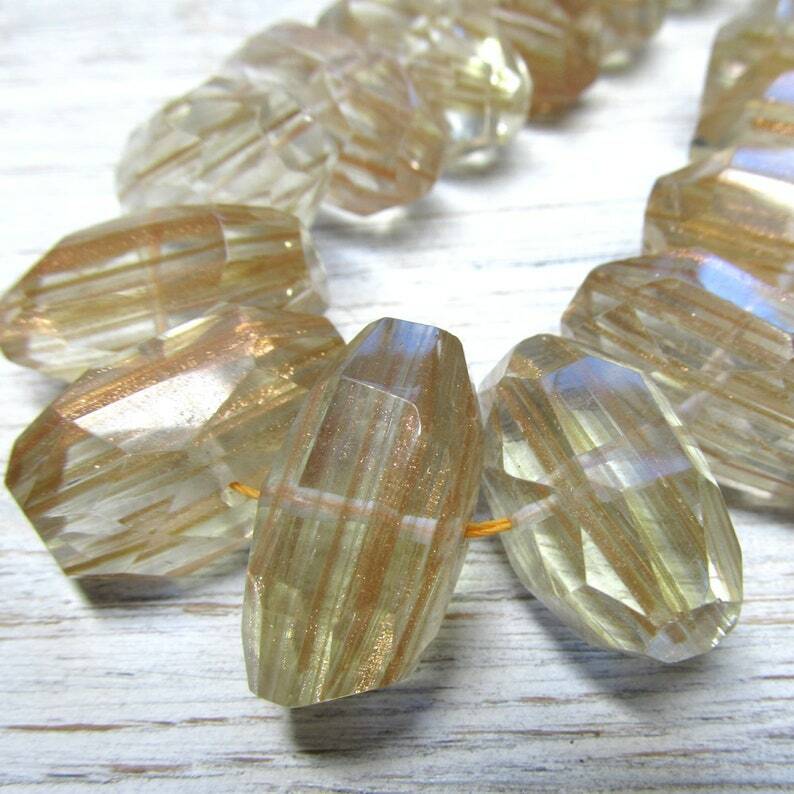 These beads are an amazing clear color with swirls of golden sand throughout them. This is lab created quartz. Unusual fashion beads - large and bright. Thanks!